 The Missio policy is that all tuition and fees are due in FULL before the start of class. Payment in full for each term is to be made on or before the first day of class for the term. Payment can be made in cash, check, 3rd party check, and/or credit card. We accept Visa, MasterCard, Discover, and American Express. When arranging a payment by email, DO NOT send your credit card information. To arrange payment in full, contact the Business Office at 215-368-5000 or you can pay online using a credit card or Paypal account by typing in your student ID number and clicking the button below. When arranging a payment via email, DO NOT send your credit card information. Missio Seminary has partnered with Flywire to improve the payment process for international students. Flywire offers multiple payment options and excellent foreign exchange rates. Flywire will ensure your payment arrives safely and accurately. Missio will not release an official transcript. Students will not receive a diploma at commencement. Students will not be allowed to participate in the commencement ceremony unless they are in a payment plan to pay off the balance within a year. Pay all tuition and fees in full. Apply for a student loan under the U.S. Department of Education’s Direct Loan program to cover any new and remaining tuition charges. Apply online at www.fafsa.ed.gov with the school code G23230. We can also assist you with a private student loan. Enter into a monthly payment plan. Unpaid balances when statements are sent may be assessed a 1% finance charge (12% annually).